Plex has long been a popular media server for folk with lots of videos to stream, especially since it rocked up on Xbox One. Now it’s aiming to improve the way it handles music files too. While Plex is already ready and able to stream music files, new features are rolling out over the next few weeks that will give them the same VIP treatment offered to videos. Plex will now be using Gracenote’s database of more than 200 million tracks to make sure your library features the right metadata. It’s also added a one-click import feature to bring playlists, ratings and other data from iTunes. The software is also getting its own equivalent of iTunes’ Genius. 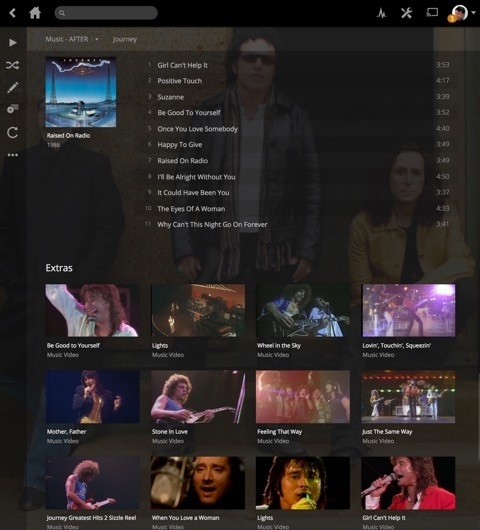 Personalized Plex Mix playslists will be generated with one click, based on the song’s Gracenote information including genre, mood and tempo. Plex will also recommend other songs you might like. With support for all music files, including FLAC, Plex will stream to your devices in the best compatible format, transcoding on the fly and adjusting the format and quality based on the available bandwidth. If you’ve got a Plex Pass subscription, you’ll also be able to watch HD videos from Vevo matched to the tracks in your library. You’ll be able to stream them to any connected device using the Plex apps. Plex is compatible with Roku, Amazon Fire TV, Chromecast, Mac, Windows 8, Linux, iOS, Android, Windows Phone, Xbox, PlayStation and a lot of NAS devices.